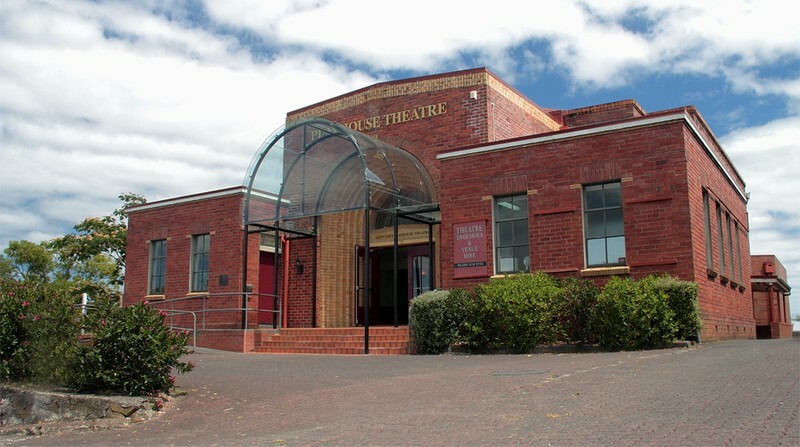 Originally on the site where the Playhouse Theatre now stands at 15 Glendale Road, Glen Eden in West Auckland there was a wooden building that served as a public hall and offices for the Glen Eden Town Board. This was destroyed by fire on 10th February, 1935. At a Town Board meeting on 13th May 1935, the architect, Mr Arthur Marshall presented final plans and specifications for a replacement hall building. In June a tender of £3,300 was accepted from W. C. Curtis and building of the new hall proceeded. Despite being in the period of the Depression, construction was completed quickly and the new hall took on all the functions of the old. A supper room and projection box was also added making the hall a much more versatile building. The new Glen Eden Town Hall was officially opened on Coronation Day, 12th May, 1937, a celebratory ball being held in the evening. Apart from housing Town Board Offices, the building was also used as a library, dance venue, for school and community events as well as Indoor Bowling tournaments. From its opening however, one of its main functions was as a cinema. When the town offices and library moved, it became known as the "Star Theatre". The local fire station was located behind the picture theatre and many times a film would be interrupted by the sound of bells calling the local volunteer brigade. In the 1960's it was not unusual for the small suburban cinemas to find it increasingly difficult to compete with alternative entertainment, the most obvious being television. Screening of movies gradually ceased and in 1972 the "Star Theatre" officially closed due to declining financial viability. As fate would have it however, the venue was about to become a "theatre of stars". AKL Heritage Fest - Remember When?